This Grilled Thai Chicken Wings recipe is one of my favorites. I am a nut for wings, and I love almost all kinds. I just adore these because they are so flavorful and pack just a bit of heat. A nice char on the wings adds a depth to the flavor that is so good! The marinade is what sets these wings off. 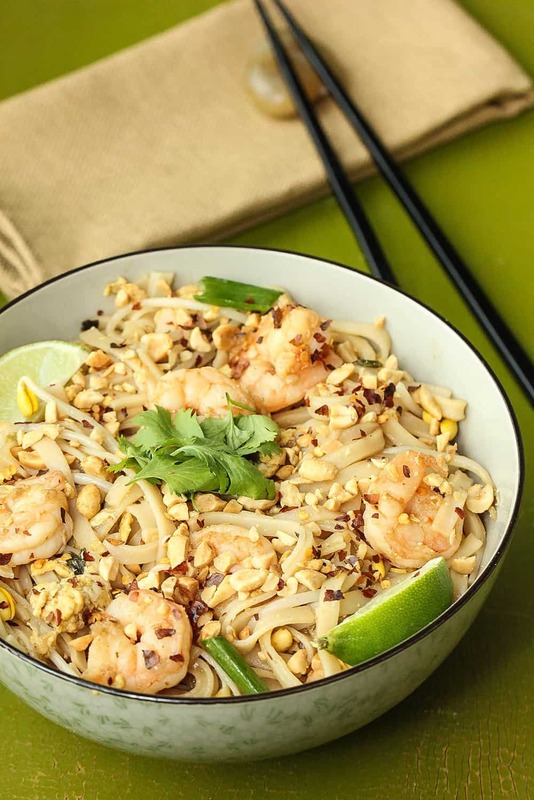 Packed with amazing Thai flavors, it just makes the wings so tantalizing. Thinly sliced Asian red peppers give just enough heat to make it so good! 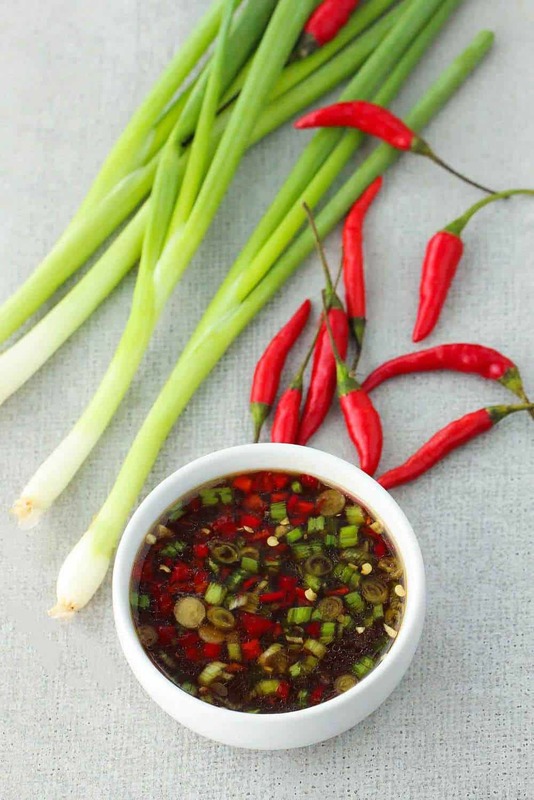 The peppers can be found in well-stocked food markets, and Asian food markets. Cooking these out on the grill are absolutely my favorite way to prepare these bad boys. But, you could certainly bake in them in a 375° F oven for about 45 minutes. Basting a couple times along the way. 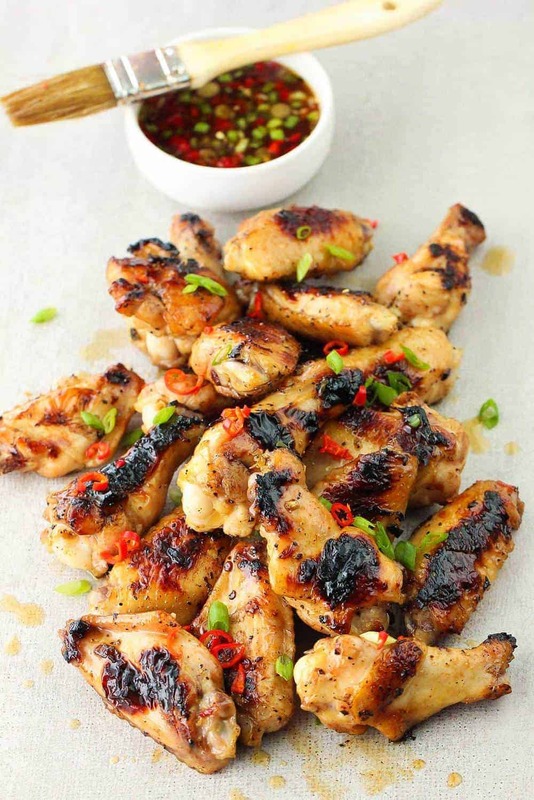 I just can’t say enough about this Grilled Thai Chicken Wings recipe. If you love wings, then you gotta give these a try. This recipe is also good with chicken breasts and thighs, too. Grill until cooked through and serve with steamed rice! Nothing short of amazing! Now, let’s make some Grilled Thai Chicken Wings! 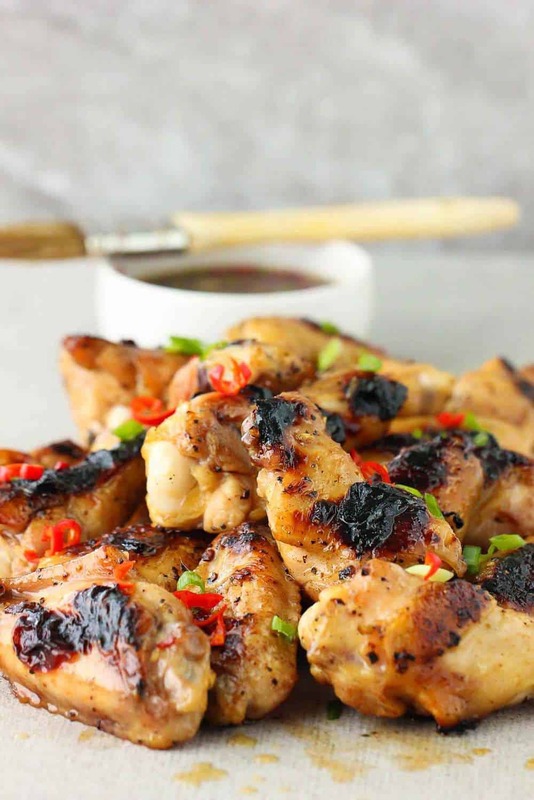 This Grilled Thai Chicken Wings recipe is one of our all-time favorites. If you like wings, you're gonna love these wings. Chinese cooking wine can be found in many well-stock supermarkets, or at your local Asian food market. Put the chicken in a large freezer bag. Place all of the marinade ingredients in large bowl. Reserve 1/2 cup for brushing on wings while they are grilling. Pour the marinade from the bowl into the freezer bag with the chicken. Massage the chicken with the marinade. Place in refrigerator for at least 3 hours. (Overnight is best). 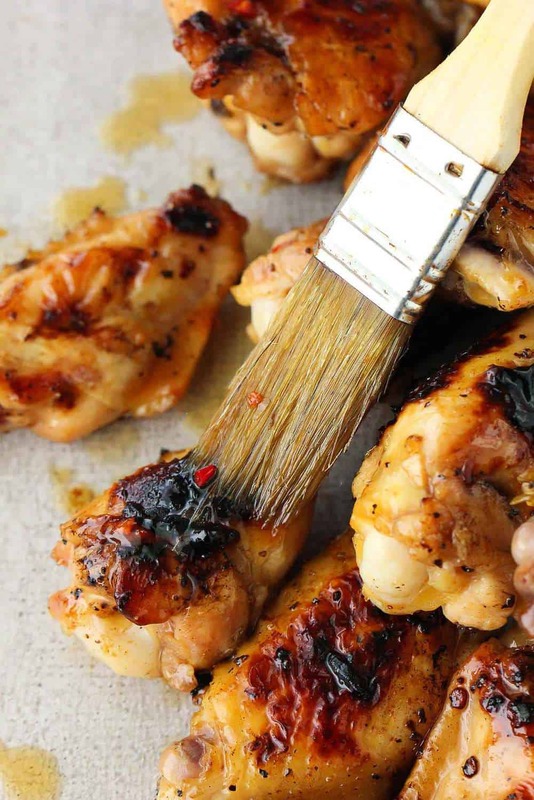 Remove chicken wings from marinade and grill until slightly charred and fully cooked, about 25 to 30 minutes. Place on platter and let rest for 5 minutes. Garnish with extra scallions and sliced red peppers.